Dustin is a sweet and easy-going youth. He enjoys the company of others and likes to talk on the phone with his friends. Dustin enjoys playing his guitar. He is learning how to play and would like a computer so he can look up guitar lessons. He also enjoys playing outside and playing video games. 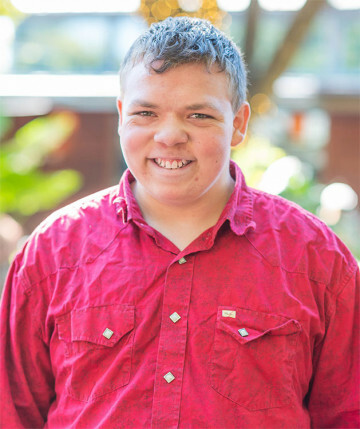 Dustin requires assistance with school work to help him with some learning challenges, but he is calm and willing to listen and follow directions. At times, he can become agitated and expresses it verbally, but he responds when redirected. Dustin is helpful around the home and enjoys making people happy. Dustin would like a family with a strong male role model and a mother. He is open to siblings and a family pet. Dustin would like a family that is nice and patient with him. Parents who are experienced in de-escalation and who will offer effective support and trust are ideal.